Who Fears the Devil? | Flickr - Photo Sharing! Fake poster for a non-existent movie done for a local charity art show. 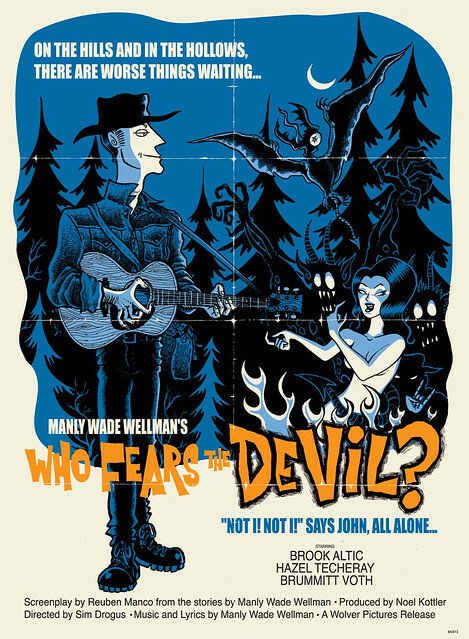 Actually, a '70s movie called "Who Fears the Devil? ", aka "The Legend of Hillbilly John", does exist, but it kinda blows in comparison to the amazing original pulpy tales by Manly Wade Wellman. mauriciosantana.com.br, DanMadia, and 4 other people added this photo to their favorites. Brilliant! Tom .first time i,ve seen this one . Everything here on your page is awesome! I love the big bold lines and spot fills.